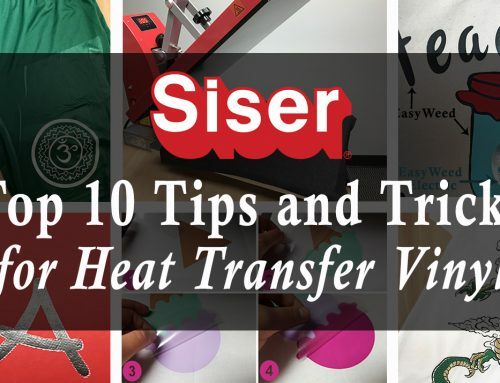 If your favorite thing about fall is the changing colors of the leaves then you’re going to love the changing colors of Siser Holographic heat transfer vinyl! This radiant material has color changing chips that shimmer similar to rhinestones. However, unlike rhinestones, which can sometimes contain lead, Holographic is lead free and CPSIA certified. This means Holographic is safe for use on children’s wear. If you’d like to learn more about CPSIA and the Siser materials that are compliant read this post. 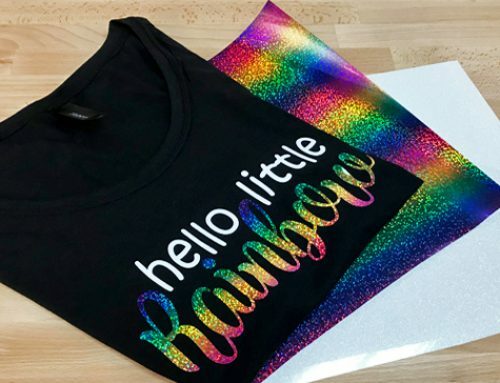 Since Holographic is perfect for children’s wear it’s also perfect for a baby’s onesie! There are lots of free rhinestone templates on the web and sometimes you can even pick up a few for free in the Silhouette Design Store. Both of my cut files can be found in the free section of the Silhouette Design Store, so you could make the exact same onesie at your home if you’re a Silhouette user! Now that the files are ready to cut I can set up my material for cutting. Holographic has a carrier side and a material side, just like EasyWeed, however it’s easier to know which side is which because the carrier side of Holographic is always silver. So the color side goes face down on the mat, and the blade will cut through the the silver. I cut Holographic with the Heat Transfer Vinyl Flocked setting because it’s a thicker material. The Blade was exposed to 3, Speed: 8, Thickness: 33. Do a test cut of your own to make sure these settings give you a good cut. You’ll notice when weeding Holographic that it’s a stiffer material. This makes good cut lines vital to an easy weeding process. Otherwise you could end up with lifting, tearing, and other weeding nuisances. After the Holographic was cut, I cut the black Glitter on the Heat Transfer Vinyl Flocked setting with the Blade exposed at 3, Speed: 8, Thickness: 20. Glitter is another perfect choice for a baby’s onesie because it’s also lead free and CPSIA certified. A trick to weeding Glitter HTV is to roll the material so you can see the cut lines. A Siser Weeder helps a lot too! Now that everything is weeded we can heat apply! 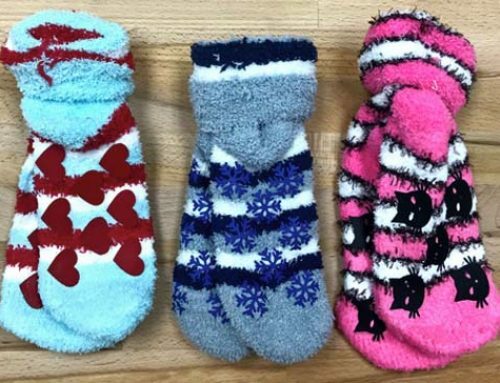 Set your Heat Press to 320°F and place a heat press pillow inside the onesie. We use a onesie to explain the importance of pillows and proper pressure in this post. Depending on the size of your onesie you may need a 5″x18″ pillow or a 6″x8″ like I’m using. Make sure the snaps are off the bottom platen and out of the way. Cover the onesie with a heat transfer cover sheet and press for 2-3 seconds to release wrinkles and moisture from the garment. A pre press also lets you know if you need to adjust your pressure. Pressing with a pillow will almost always require a pressure adjustment. Holographic and Glitter require firm pressure. Line up your transfers on the application area, so you can see what the finished project will look like. When you’re happy with the way it looks, remove the Holographic layer, so you can press the Glitter separately. 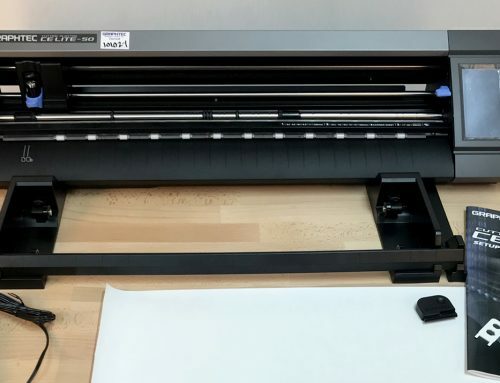 Cover your project with a heat transfer cover sheet and press for 10 seconds. Wait a few seconds before peeling the clear carrier. Add your faux stones, recover, and press for 10 seconds. Wait until the carrier is cool to peel. This onesie took me less than 10 minutes to design, cut, and heat apply. It’s a perfect project to whip up while your little pumpkin naps. Say hello to fall with faux stones! We’ve had other fun with faux stones before, including this DIY Grad Cap and our Princess Design. Tag your faux stone creations with #SiserNA to share your inspiration. How can I do faux rhinestones with my Cricut Maker what app can I use to create my design? Hi Caroline! 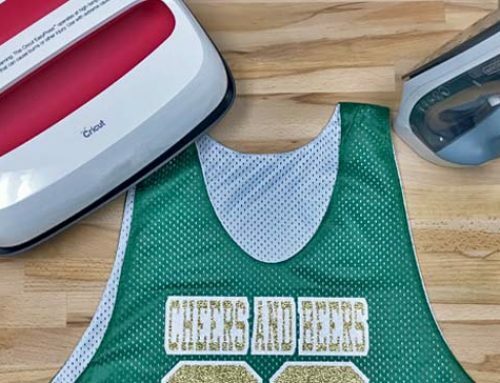 Unfortunately, Cricut does not offer a rhinestone function in Design Space, so you’ll either need to purchase rhinestone SVG files or create your own in another software that’s able to save the file as an .svg. The software is ultimately your preference, but I often use Sure Cuts A Lot to make rhinestone designs for my other cutters.